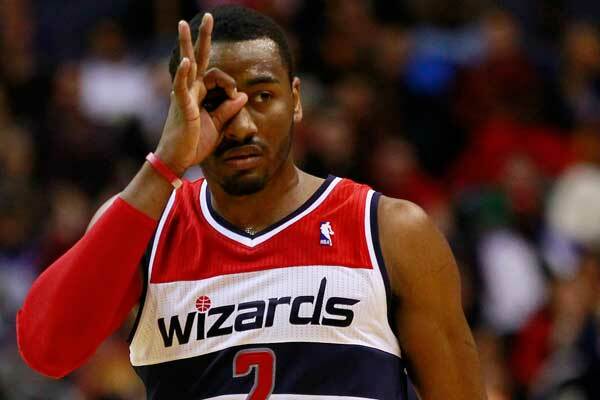 Congratulations to John Wall for receiving a well-deserved spot in his second All-Star game. Many more to come for the Wizards PG. Hearkening back to last week’s piece, in which I compared this year’s Wizards to teams in NBA history with a similar SRS (stands for Simple Rating System — it’s a measure of team strength that combines scoring margin with strength of schedule), there’s this: In NBA history (including this year to-date), 247 teams have had a winning percentage of 65% or better. (The Wizards are currently at .674.) Where does Washington’s squad this year stand on that list in SRS? 247th. During a game this week, CSN threw onto the screen one of its pointless, irrelevant and cherrypicked “stats.” In this case, it was something about Kevin Seraphin being among the league leaders in 4th quarter FGs. The information was correct, but without meaning. Seraphin is among the league leaders in 4th quarter minutes played, 4th quarter turnovers and 4th quarter fouls. He’s played more than twice as many 4th quarter minutes as Marcin Gortat. When I checked, he had one fewer 4th quarter rebounds than Damian Lillard. Seraphin’s 4th quarter PPA: an anemic 59. And oh yeah, the Wizards have been outscored by 53 points (9.0 points per 48 minutes) during Seraphin’s time on the floor during the 4th quarter. Largely a status quo update. Wall and Pierce were down a little, but Gortat, Nenê and Beal were up. Rasual Butler and Andre Miller had rough weeks. Seraphin’s production rate crept past replacement level.